Kause Kaza Brand started in 2011, Kause Kaza Brand provides clothing for women for Pakistani, Indian & Eastern women every season.Kause Kaza brings an exclusive collection of women apparel for casual wear. Trendy clothes upbringing a defined range of colour blends. Easy to wear and durable. Color combination used in these dresses are bright like red, blue, purple, green, white, sea green. All the Dresses are Affordable prices. 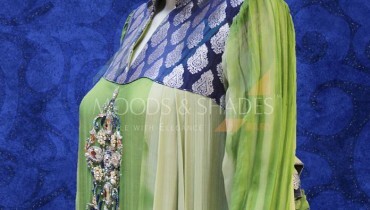 Kause Kaza has introduce her latest fantastic casual wear latest collection for summer 2012-2013 in organization With Abyaz included long kurtas & Shalwar Kameez which has adorned with embroidery on front and back of the shirts. Let`s see more picture.